The myth has it, that St. Patrick introduced the cross -- combining the symbol of Christianity, with the symbol of the sun -- with its life giving properties; to create the Celtic Cross. Weddings are packed full of tradition and symbolism. 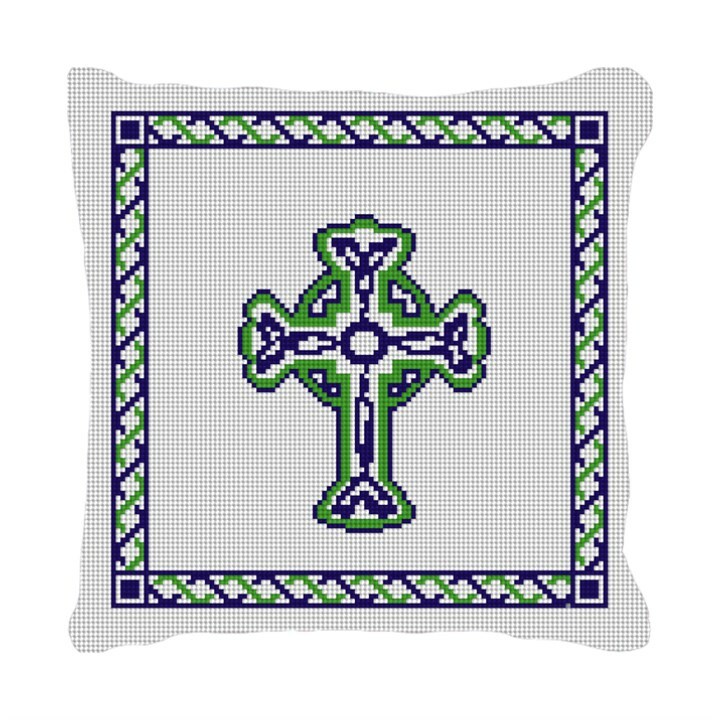 This classic Celtic Cross needlepoint pillow will add a very special touch to the bride and grooms wedding ceremony. A ring bearer pillow for the ceremony; later to become a fabulous keepsake pillow for the newly married couple's home.